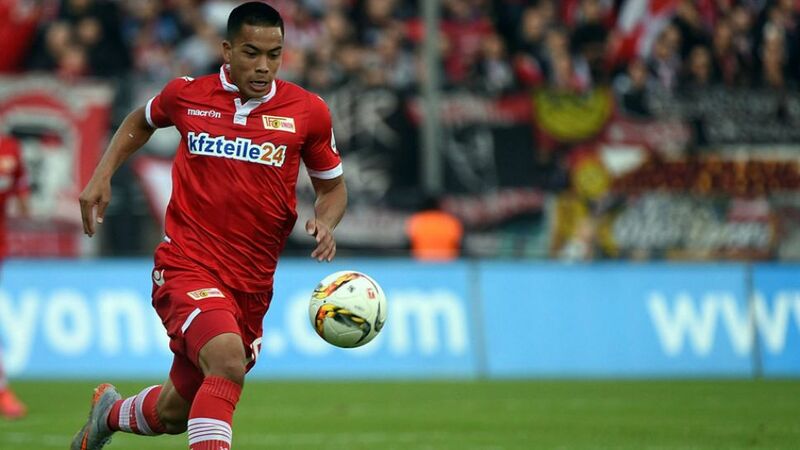 Fresh from setting a new record for most goals in a single season by an American playing in Germany, Bobby Wood is in the form of his life. The Hawaii-born striker will move to Bundesliga ever-presents Hamburger SV in the summer, having found the back of the net no less than 17 times in 31 Bundesliga 2 matches for 1. FC Union Berlin in 2015/16, but first there is that little matter of the Copa America Centenario on US soil. It marks quite the reversal in fortunes for 23-year-old Wood who, only 18 months ago, appeared to be living on borrowed time. Deemed surplus to requirements by boyhood club 1860 Munich and having scored just three goals in 15 appearances whilst on loan at FC Erzgebirge Aue, it took some blunt words of advice from USMNT head coach Jürgen Klinsmann to prevent the Honolulu native from drifting any further off track. "Before the season started I said, 'You've got to make it this year, otherwise they're going to move you on," Klinsmann recalled. "That's how it works in Europe, they're not that patient. At the age of 21, 22, you're an old player." His national mentor's counselling at the forefront of his mind, Wood put the breaks on his apparent slide to forgotten-man status to become one of European club football's most coveted forwards. His 17-goal haul took him past Conor Casey as the USA's all-time leading goalscorer in German football and fully vindicated Klinsmann's unwavering faith in his abilities. "I'm grateful and thankful that I'm here right now," Wood said, his aloha spirit restored. "What [Jürgen Klinsmann] said to me was the truth; it wasn't a threat. It happened kind of quick in the past year, but it was a really long process. It was a lot of downs, but I'm where I am now because I worked hard to get here. I'm excited."